BorinGS, a computer program for drafting boring logs and well-completion logs, was developed by Gookin Software, LLC. 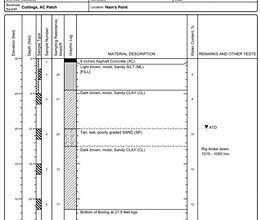 From printing blank logs for field use to inputting field data to generating high-quality logs, BorinGS is easy to use, highly customizable, and requires little to no training. Both US customary and SI (metric) units are supported; data may be entered in one system and printed in the other set of units. 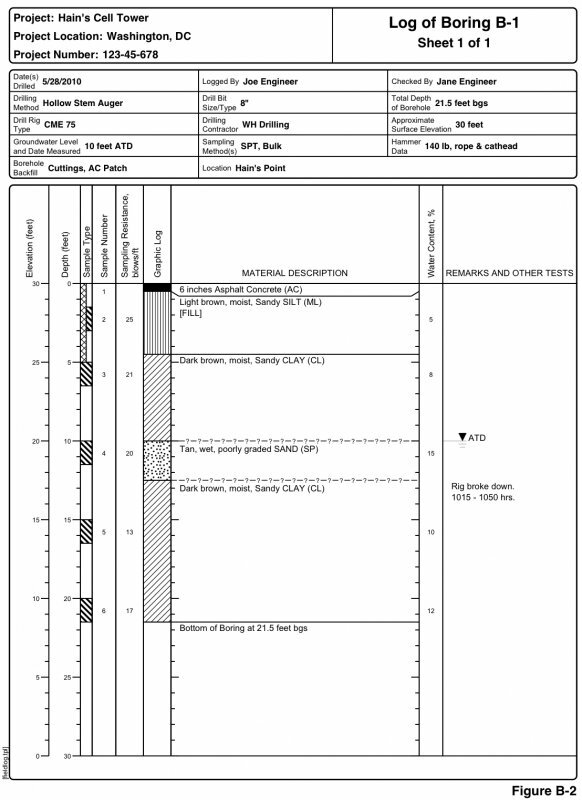 Entering subsurface information is easy using the formatted data entry screens. A built-in spell-checker in included, along with a customizable dictionary. Save multiple boring logs in one file and show up to seven laboratory data columns in each log. BorinGS also can handle dual-pipe well installations. Output features include use of customizable boring templates, a feature to generate a key to borings with samplers and soil tyepes used on the log. Additional features include the ability to continue material descriptions across page breaks, a page-preview feature, high-quality printed output, batch printing of all borings logs in a file, the ability to print blank boring forms for use in the field, and output of pages to JPEG format for inclusion in reports. * BorinGS download link provides trial version of the software for Windows and Mac OSX. AutoCAD LT Version:2019 · Autodesk Inc.
For 2D drafting, AutoCAD LT delivers AutoCAD software’s 2D drawing tools at a cost-effective price. No one has rated BorinGS yet. Be the first to rate this product.